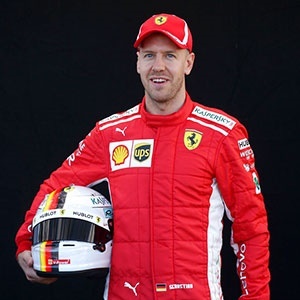 Cape Town - Sebastian Vettel has revealed he has mixed feelings about the return of Robert Kubica to Formula 1 racing in 2019. Kubica's remarkable comeback to the pinnacle of motorsport will be complete when he lines up on the grid for Williams at the season opener in Australia next March. His return will mark the end of an eight-year battle to recover from life-changing injuries following a rally crash in 2010 that left him with a partially severed arm. And, after years of speculation and setbacks, Kubica's full-time return to Formula 1 was confirmed at the season finale in Abu Dhabi. But, while Vettel is happy for Kubica, he cannot help but spare a thought for some of the young drivers who have missed out as a result. "I have mixed feelings," Vettel told Blick. "On the one hand, it pleases me personally. No one can even imagine how hard it was for him and what he went through. "On the other hand, there are also young drivers who deserve a chance." On the subject of the younger drivers, Vettel believes Max Verstappen can realise his title ambitions with a more prolonged push in 2019. "He’s got all the ingredients," Vettel told the official Formula 1 website. "I think there’s a couple of guys out there who have these qualities and Max is certainly one of them. Yeah, I think we’ve seen that. "I also remember from my time, it’s important to have a competitive package throughout the season and Red Bull are certainly very, very strong and they put more performance to their car than any other team across the year, so obviously that allowed them to be very competitive, especially looking after tyres, etc."